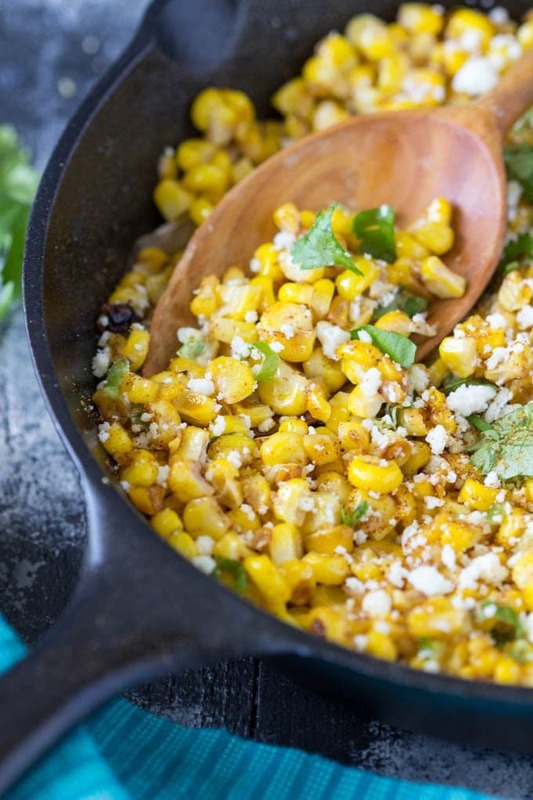 Skillet Mexican Street Corn is loaded with flavor! 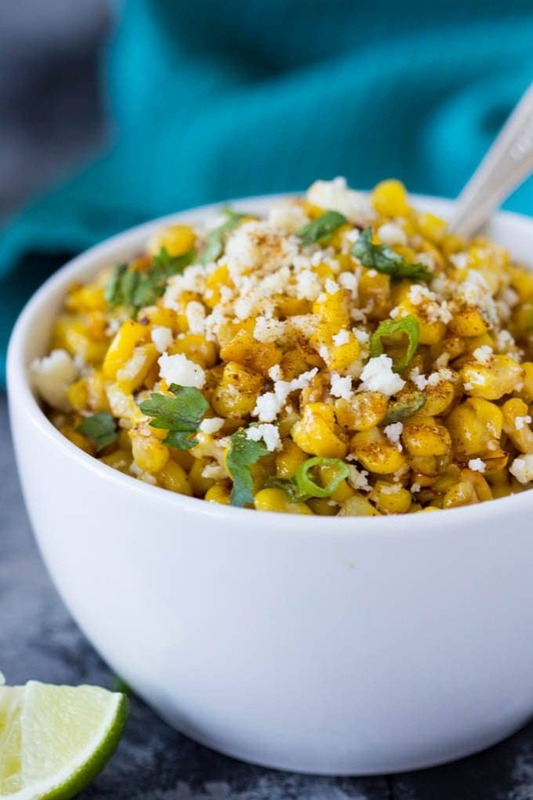 Sweet summer corn is delicious all on its own but when you char it in a skillet and add a bit of mayo, green onion, jalapeno (optional) cilantro, crumbled cotija cheese and chili powder. Oh my! Oh my! Oh my! 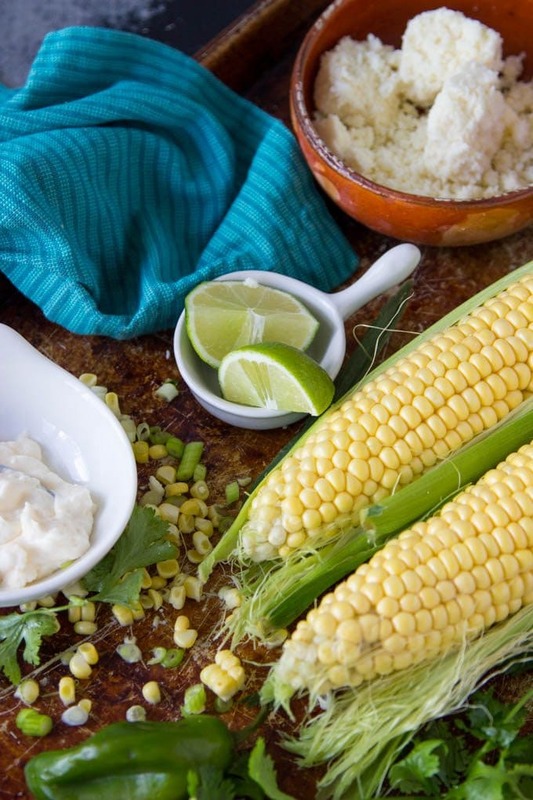 I’m using in-season sweet summer corn on the cob for this dish. But don’t worry! if corn is not in season you can absolutely substitute either frozen or canned corn. 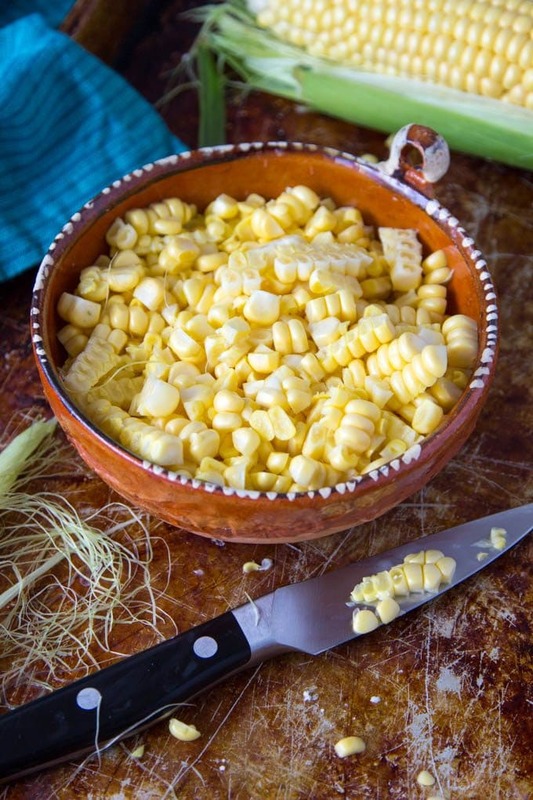 Remove the corn from the husks and cut the kernels off the cob with a sharp knife. I love how the corn turns such a vibrant shade of yellow when you cook it! Mix in the mayo, green onions, chili powder, jalapeno (if using), cilantro and cotija cheese. or a rustic salsa/dip…perfect for scooping onto a tortilla chip! 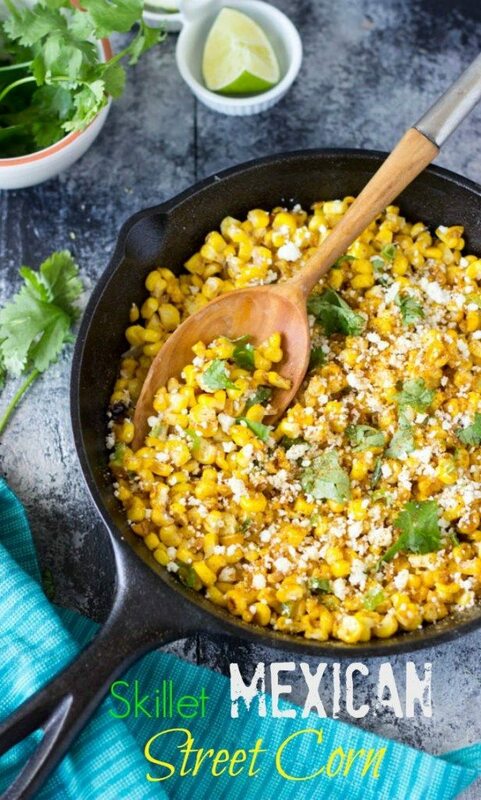 Skillet Mexican Street Corn also makes a great topping for chicken, fish, shrimp or tacos. Add some chopped lettuce and make a corn salad, so many options! Heat oil in a large skillet over medium high heat. Add corn and cook without stirring until corn begins to char (about 2-3 minutes). 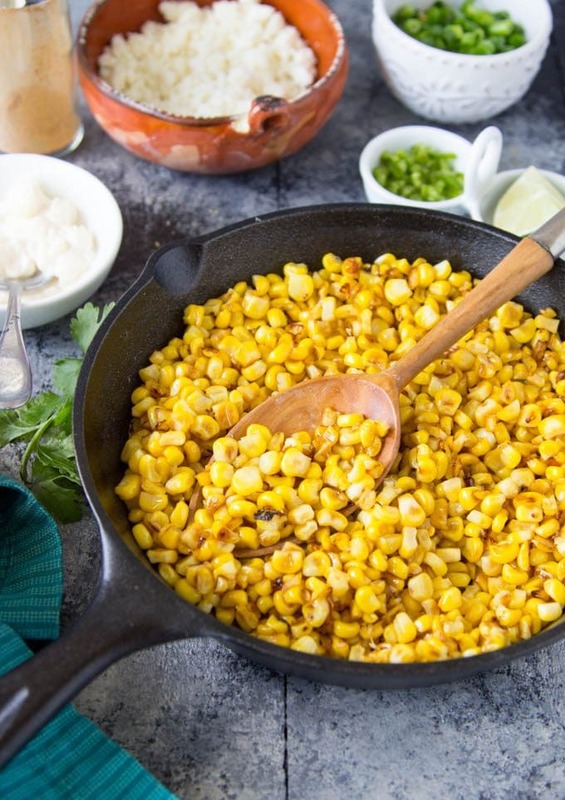 Toss corn and let cook for an additional 2-3 minutes (without stirring). Give the corn one final toss and repeat cooking for additional 2-3 minutes until corn is charred on all sides. Turn off heat. Add remaining ingredients and stir to incorporate. Add salt to taste. Serve immediately. This is the best Tex Mex side I have ever tasted. Serve it with cheesy chicken enchiladas and it is always a hit. Thank you! I find myself remaking this recipe a few times a month, it is that good. 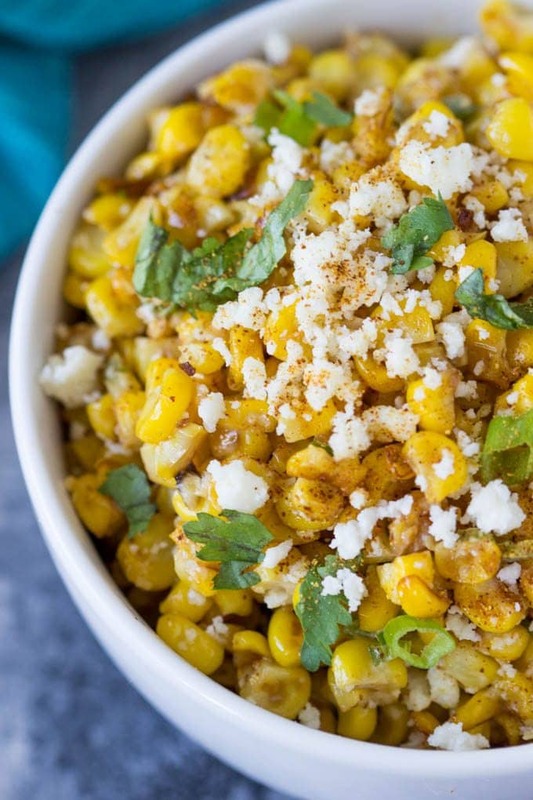 I love the charred taste of the corn and usually just use frozen corn as it works just as well. Thank you! Great go to recipe at our house now. This is great! Hi Alexis…I dont why not!..I havent personally tried canned corn , but I think it would work just fine. 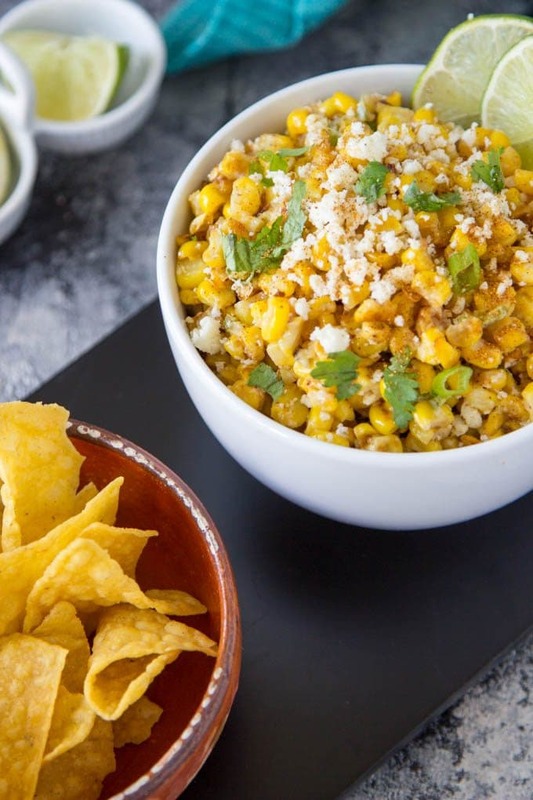 Would love to hear your thoughts if you do make it with canned corn. I’m making this dish for our Mexican feast on Christmas day. It sounds delish & will compliment our meal very nicely I think. OMG. This is so good! I made it as a side for our chicken tacos. I will definitely make this again! Yeah! Thanks Summer! Glad to hear you enjoyed it! Can you serve this cold or reheat it?